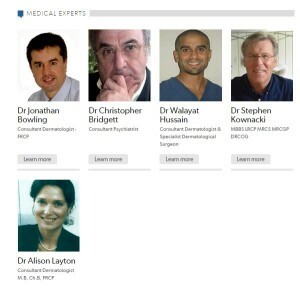 We hope you managed to catch our talkhealth online clinic on skin conditions. It was a lively clinic with questions being answered by experts Dr Alison Layton, Dr Jonathan Bowling, Dr Christopher Bridgett, Dr Walayat Hussain and Dr Stephen Kownacki. You can take a look at all the questions and expert answers here. The clinic will stay on talkhealth for the next 12 months. There were lots of questions about living with eczema and psoriasis and the most popular section attracted a large number of questions of a diverse nature, on topics such as warts, moles, melasma, and lichen planus. Some of the other topic areas were rosacea, acne, itchyiosis and skin cancer. Overall our medical experts were kept very busy answering over 60 different questions! Our NHS Choices/talkhealth online clinics run once a month with a different health topic each month. We are really looking forward to our next online clinic, focussed on stress and anxiety at work which starts on 15 October 2014 and is open for one week. You can post your pre-clinic questions now in readiness for our experts to answer from 15-21 October.